The NC Alliance for Health is blasting the Senate’s version of the state budget, which contains no funding for statewide tobacco prevention and cessation programs. “Less than a month ago, North Carolina was able to announce the lowest teen smoking rates in our state’s history. Today, the State Senate released a budget bill that would destroy all of this good work and put 15,400 more North Carolina kids at risk for becoming addicted adult smokers. This shortsighted budget bill, released in the middle of the night, contains no funding for the statewide tobacco prevention and cessation programs, which includes the nationally recognized TRU Campaign. The Senate elimination of funding for these programs is even more outrageous considering the hundreds of millions of dollars the state brings in annually from the tobacco settlement. This year’s payment is $141 million and the state will receive these payments for as long as the tobacco companies remain in business. Our fiscally “conservative” legislators are actually taking a radical action. They are adding to the taxpayer burden and costing lives. It is not wise fiscal policy to cut programs that take not one dime of taxpayer dollars yet save the state millions of taxpayer dollars that would otherwise be spent on health care costs. Moreover, the Senate budget legislation begs the question? Whose side are they on? In this budget proposal, our kids and our economy are the losers and the only winner is the tobacco industry. They spend $396 million every year promoting their products in our state. If the Senate has their way, our children and families will be left with nothing to combat that. Cutting these prevention programs is penny-wise and pound-foolish. Preventing tobacco use is one of the best ways to reduce the staggering health care costs that drive our state government budget deficits year in and year out. Yet the Senate’s proposed cuts would result in an additional $220 million in health care costs. This funding cut will also cost lives, resulting in over 15,000 more NC kids becoming smokers – and 5,530 of those will die prematurely from smoking. The state must address tobacco use because it continues to be the number one preventable cause of death and imposes tremendous costs on our health care system and state budget. 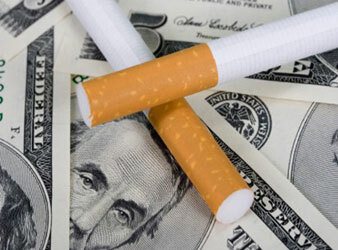 Tobacco use costs NC approximately $2.46 million a year in health care bills. The commitment to preventing tobacco use is critical to reigning in these health care costs that are crippling our economy. 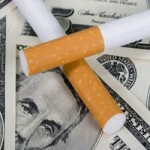 In addition, several recent studies illustrate the value of investing in tobacco prevention, proving that tobacco prevention and cessation programs save far more money than they cost by reducing tobacco-related health care and other costs. The NC General Assembly must reverse course and fully fund tobacco prevention at $17.3 million a year. Anything less is a disservice to our kids and NC taxpayers. While being your own health advocate is extremely important, bringing an advocate to your doctor’s appointment may save your life. Your advocate can be a close friend, parent, relative or spouse. It is best if your advocate is familiar with you and your symptoms. Below, I have outlined five reasons why bringing an advocate to your doctor’s appointment can benefit your healthcare.